"Today's vote is a clear-eyed rejection of politics as usual in Washington, D.C.," her opponent said in a statement. The California Democratic Party voted to endorse a progressive state senator over incumbent Sen. Dianne Feinstein in the party's executive board meeting in Oakland on Saturday. Though Feinstein beat state Sen. Kevin de León, 51, by nearly 33 points in the jungle primary last month, progressive grass-roots activists have largely taken control of the state party apparatus in recent years and have pushed for a more liberal candidate to take on the Trump administration. This is the second time they have elected to endorse de León over Feinstein, 85, who has served California in the U.S. Senate since 1992. According to the balloting results, the decision was made by 333 voting members who make up the California Democratic Party's executive board. While de León received 65 percent of the vote with 217 votes, Feinstein earned a paltry 22 votes or 7 percent. Rather than endorse either candidate, 94 members elected to vote for no endorsement. De León remains a longshot in the race, however, as the two Democrats face off without a Republican challenger in November. In a late-June Survey USA poll, Feinstein led de León by 24 points — 46 percent to 24 percent — with 31 percent undecided. While de León earned the party's endorsement, nearly every major elected official in the state has officially backed Feinstein. 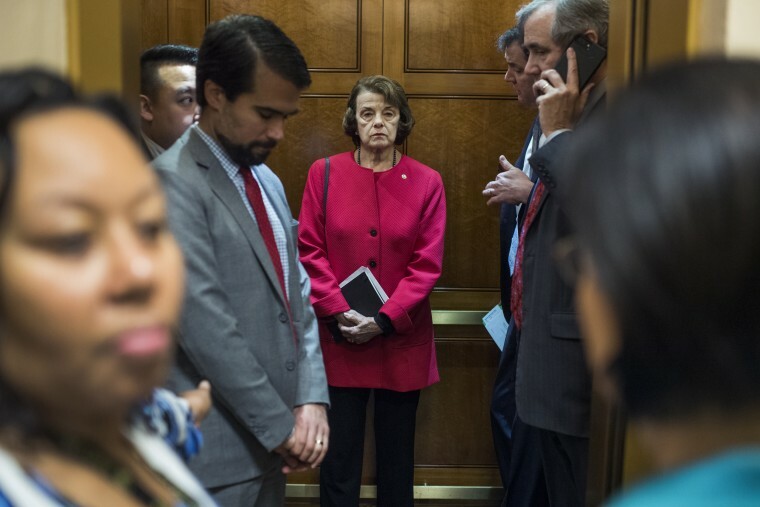 Despite an attempt to work behind the scenes to avert the embarrassment of losing the party's favor a second time, however, Feinstein failed to convince the progressive wing of California's Democrats to provide her their support. Nevertheless, the senator's election coffers are flush, and she enjoys much greater name recognition and high-profile endorsements than de León. Feinstein won over 2.3 million votes in the primary last month, and de León won only slightly more than 638,000. “We are confident that a large majority of California Democrats will vote to re-elect Senator Feinstein in November,” Jeff Millman, her campaign manager, said after the vote, according to The Associated Press.